We all know the benefits of learning a new language. We’re told that it improves memory, cognition, and provides career opportunities – so it’s no surprise the language industry is booming. Most importantly, with this boom comes an increasing demand for educational voice overs! For many of us, our language knowledge is a school day memory of asking for directions to der Bibliothek. However, now we can log on to apps, enrol in online courses, and sit examinations from our sofa. As we do, it’s easy to forget about the educational voice overs as they teach and test us. 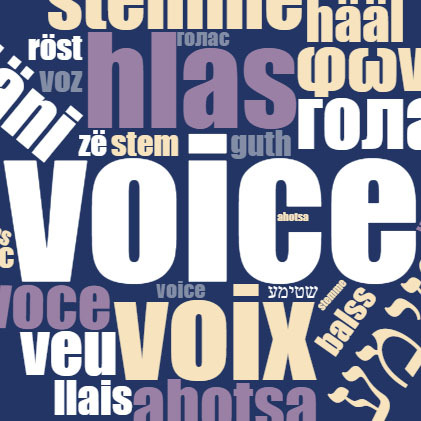 At Voice Squad we’re involved in many types of educational voice overs, for both English and Foreign language artists. This can cover everything from examination questions to language based app games. However, English Language Teaching (or ELT) is by far the most popular. We needed someone to tell us more about ELT work, so we asked Will Harris at Oxford University Press. He was more than happy to put it into plain English for us! What do you look for in your educational voice overs? We need voices that have really good clarity, intonation and versatility. As these recordings are educational voice overs it's crucial that the words are clear and easy to understand. They also need a good understanding of how the language works, as some recordings focus on grammar points or intonations. Versatility is key, as is being able to age up or down. We might need someone who can play a 14 year old in one item and then a 40 year old American! We record courses for Primary, Secondary and Adult education so the level of English varies. Some courses need to be really slow whereas others are at a natural pace. Voices who are comfortable at both ends of the scale are important. We do work with child voices for the Primary courses so working with children is necessary at times. It's also important that the voices are good readers. Scripts are generally handed out on the day of the recording so it's important that they can sight read. How is an average ELT session structured? Scripts are handed out at the start of the day and the Producer then gives a brief of what's to be recorded. This will include information on the course, whether we can use accents, and speed of delivery. The Producer directs the session whilst we have an editor from the publisher present to oversee the material and make sure it works for the course. We may need to re-record some items specifically to focus on an intonation pattern or grammar point that the exercise is trying to convey. Recordings are always fun and normally include lots of laughs! Danke, merci, and gracias to Will at Oxford University Press for giving us a look at the process of ELT. And let’s give shoutout to all those educational voice overs who are helping improve communication for all! The Story of the Audiobook Narrator with our Amy Enticknap and Rachael Louise Miller.